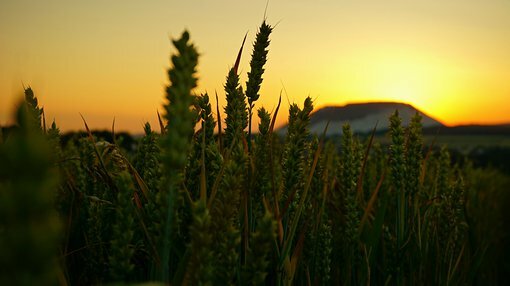 Davenport Resources (ASX:DAV) today announced that it has increased the known historic Resource base at the Mühlhausen-Nohra Mining Licence in Germany’s South Harz region. The Resource now stands at 1.11 billion tonnes containing 114.9 million tonnes K2O, having incorporated the new Historic Resource estimates on the Nohra-Elende and Keula sub-areas. The Historic Resource at the Nohra-Elende sub-are Mining Licence now stands at 816.1 million tonnes at 8.9% K2O (72.8 million tonnes contained K2O) of predominantly Carnallite. The Historic Resource at the Kuela sub-are Mining Licence now stands at 65.2 million tonnes at 12.8% K2O (8.3 million tonnes contained K2O) of predominantly Hartsalz. 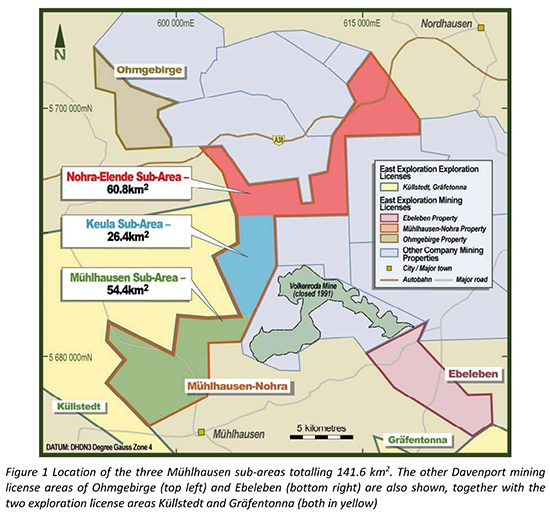 The Mühlhausen-Nohra Mining Licence comprises the Nohra-Elende and Keula sub-areas, as well as the Mühlhausen sub-area, which has a previously reported historic Resource of 234 million tonnes at 14.4% K2O (33.8 million tonnes contained K2O). It should be noted that DAV is an early stage play and anything can happen, so seek professional financial advice if considering this stock for your portfolio. DAV Managing Director Dr Chris Gilchrist said, “the ongoing data review has now identified three area with Davenport’s recently acquired Mühlhausen-Nohra Mining Licence that were drilled and evaluated to the level where historic Resource estimates could be defined. This brings the known contained K2O tonnage within the Mühlhausen-Nohra Mining Licence to just under 115 million tonnes.